iPhone 8 is one of the flagship handsets that the company launched in 2017. With the advent of iPhone 8, a bunch of new features also arrived in the market. But since the device was new, the problems associated with it also seemed new. And one such problem that made its way to grab people's attention was contacts not appearing in search iPhone 8. People were frustrated due to this issue. But as a matter of fact, even though the problem was new, the solutions to solve the issue were traditional. Let us see how to solve if iPhone contacts search not working. 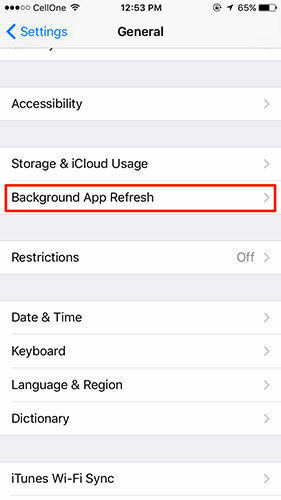 Now restarting your iPhone might be one of the solutions that can solve your contacts not showing up on iPhone search issue. The reason we have a small amount of uncertainty is because most of the times the solution works and sometimes it has no effect. Restarting your iPhone 8 is very simple. All you need to do is press the Volume Up button. Then you need to press the Volume Down button. Now, press and hold the Sleep button until the screen goes off and restarts again with the Apple logo on display. Your iPhone has been force restarted. Spotlight search is the feature introduced by Apple for iPad and iPhone to search your device, App Store, and the web for the things that your need quick access to. To use this feature, you just need to swipe left when in Home screen and search in the search bar present on top of the screen. But you need to make sure that contacts can be searched using this feature. Follow the given steps below to solve the issue. Step 1: Begin by going to the settings. As soon as you head to the setting you need to look for General. Step 2: In General option, look for Spotlight search and click on it. Step 3: Now check for the Contacts option. Make sure that the toggle in front of Contacts is on. Force closing the contacts app can also help you solve this issue. All you need to do is follow the given below steps. Step 1: Start with the Home screen. Now double click the Home button. Make sure to click the button. If you just tap the Home button it will minimize the screen. Step 2: Once double clicked, you will see a list of apps that are running in the background. All you need to do is search for the app that you wish to close (in this case, Contacts). Step 3: Once the app is found, swipe it up to force close. You are done for the day. Tenorshare ReiBoot is a software that offers single click solution to your problem. Any issue related to iPhone or iPad can be solved easily and quickly. All you need to do is follow the given steps below. Step 1: Install and run the Tenorshare ReiBoot tool on your computer. 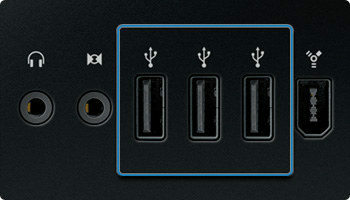 As soon as you have installed the software, link your device to the computer employing a USB cable. Click on "Fix All iOS Stuck" alternative. Step 2: If your iPhone 8 is grasped with any error, you will see the following screen. Select "Fix Now" option as per your current version of iOS to get your iPhone in Recovery Mode or DFU Mode. Step 3: Download the firmware package online. The tool will show the related firmware package for your iPhone 8. It will show the newest firmware package for the current iOS that your device is operating on. Therefore your device will be updated with the newest version of the iOS after the procedure. Click on "Download" to start the installation of the package if you do not have it on the PC. Step 4: Soon after the package is downloaded completely, select "Start Repair" to start the recovery of your device. The procedure may take hardly 10 minutes. Make sure your iPhone is connected during this process. After the procedure is done, your device will reboot and the issue will be resolved. All in all, we just had a look at the top 4 solutions that can be used to solve contacts don't appear in search iPhone issues. In addition to this, we think that Tenorshare ReiBoot might be the best solution to use in order to solve your issue. At the end, do let us know if this article was helpful or not by commenting below. How to Get iPhone 8/8 Plus/X in and out of DFU Mode?